Pilar Cerdà’s collective exhibition in Dionís Bennàssar Art Gallery. 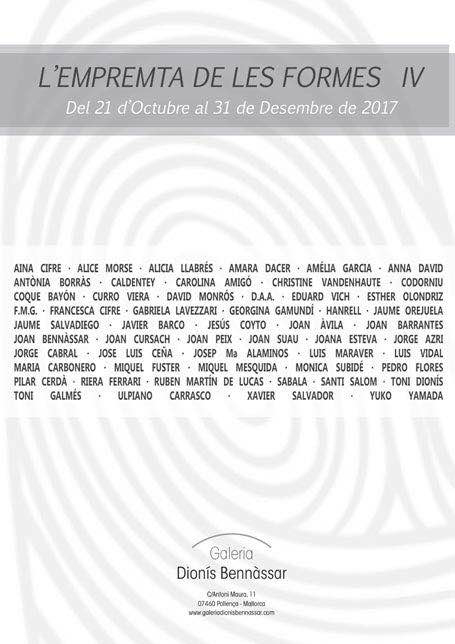 For the fourth time, the artists contributes to this annual collective exhibition in Pollença. From the 21st of October to the 31st of December, 2017. C. Antoni Maura, 11. Pollença, Majorca.